'Eagle Cam' Update: We Have A Hatching! 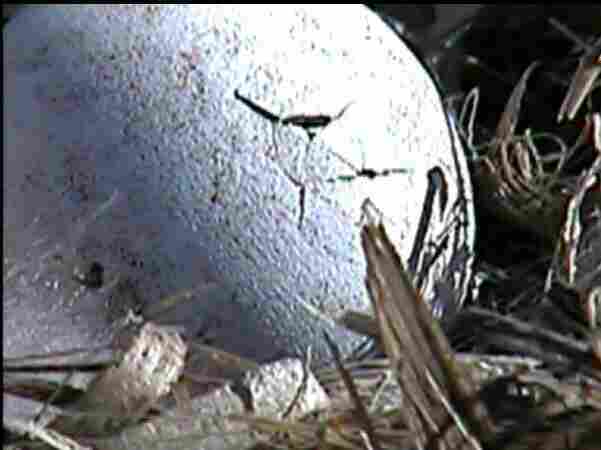 Third Eaglet Emerges : The Two-Way The incredibly popular Decorah Eagle Cam captured the scene last evening as the third egg in an Iowa bald eagle family's nest hatched. The incredibly popular Decorah Eagle Cam captured the scene last evening as the third and final egg in an Iowa bald eagle family's nest hatched. We, and at many times hundreds of thousands of other viewers, have been following developments atop that three in Iowa for several days now. Des Moines' WHO-TV has video of the hatching in this report.